I want to copy a website's post that has approximately 5000 (five thousand post) . 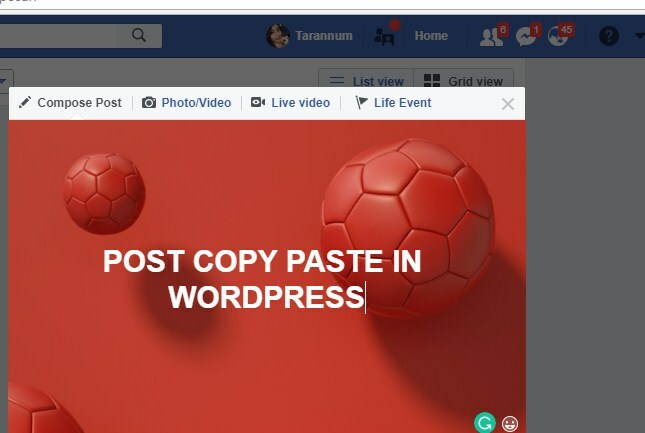 I want to copy these post & want to paste these post in my website. thank you for posting your job opening for data entry operator. i have 5 years of data entry experience and i have performed all of the duties listed in your job description. i am managing my personal blog so i know it is a very time-consuming job if you agree than buy my service as soon as possible. i am interested in doing the job you posted here for $10 as per condition. i can remember, i worked under your order in past time. so you know about me well. please assign me the job. i am expert in wordpress. i have 4 plus year experience in wordpress. i will complete your post in 5 days. order me i am expert in posting. ok then hire me i can do your job properly . and i can give more time for you . i know wordpress customization so give me all data for post in wordpress . i will do it in 5 $. do you want to migrating any site? my name is kaka and i am able to do this job perfectly. don't think that i am new so i cant do this. give me a chance to prove myself. i am here to help my client in their work. and i also have an experience of 2 years in this. i am able to post your 5000 posts in just 4 days. waiting for your reply. please contact with me in my inbox for our deal. i'm a highly qualified and efficient blogger. so hire me and let's get started!